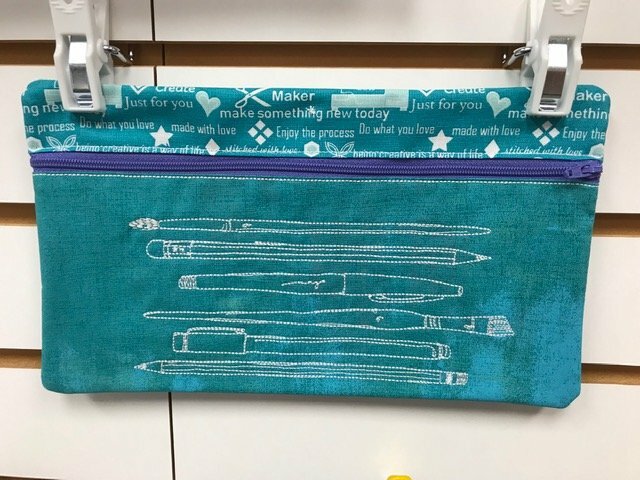 Wed. January 23 (10:30 am - 2:30 pm) Pencil Box In the Hoop Bag - Learn how you can add an embroidery design to an existing in-the-hoop project, thanks to BERNINA's PLUS embroidery features. Use ungrouping and embroidery sequence control to quickly insert a design at the right point in your embroidery. Easy, simple and fast! Class fee includes pattern and two embroidery designs. Kit is required and is an extra fee. Class fee is $30. Kit is required and will be an extra charge. Call store for kit price. Bring your lunch or a snack.